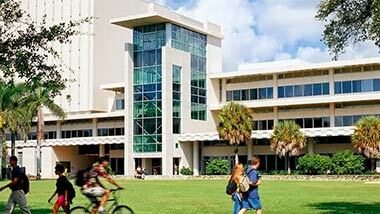 Welcome to the University of Miami Libraries Guide to Theatre Arts resources. The purpose of the guide is to help you navigate through the many Theatre Arts resources available to you through the University of Miami Libraries system and beyond. If you need further assistance during your research process please contact the Theatre Arts librarian, via email or phone for individual consultation. The Library has a strong collection of plays published separately and in anthologies to support the student actor. Contemporary plays, as well as works from all periods of literature are covered. The craft of theatre is well represented by books and videos on acting, set design and lighting, and costume. Art history and architecture are especially valuable resources for faculty and students in this program as well. Please contact the Theatre Arts Librarian for more information about resources in Theatre Arts or to make an appointment for in-depth research assistance. For general inquiries and assistance, call or visit the Research Service Point in the Learning Commons on the first floor of the Otto G. Richter Library (305-284-4722). You can also email a reference librarian through our Ask A Librarian service. The following are journal titles in theatre arts that are good places to start your research. Find plays and reviews through American Theatre. Trade publication covering the entertainment industry. Focuses on dance educators of all disciplines that help them and their students to become better dancers. Theatre Topics focuses on performance studies, dramaturgy, and theatre pedagogy. Wilson Humanities Full-Text indexes more than 300 key humanities journals. Abstracts of journal articles are included from the spring of 1994; selected full-text coverage began in January 1995.
International coverage of more than 1,150 leading arts and humanities journals as well as selective coverage from leading science and social sciences journals. Bibliographic database that provides indexing for more than 600 publications. Film & Television Literature Index is an index to film and television literature. It is a bibliographic database that provides cover-to-cover indexing and abstracts for more than 300 publications, and selected coverage of 300 more. The database has been designed for use by a diverse audience that includes film scholars, college students, and general viewers. Play Index enables users to search some 44,000 plays published individually or in collections from 1949 to the present. The database covers a wide range of plays written or translated into English, including one-act plays, pageants, radio and television plays, and classic drama. A tool for finding plays published in collections. Find plays based on number of characters, gender, and theme. Then, search for the plays by title in the Libraries' catalog. Ambrose Video is a collection of more than 1200 video clips and full programs including streaming education materials, in social studies, literature, fine arts and the sciences. Find plays in our catalog! Use the interlibrary loan when you find a needed item is not available through the Richter Library's catalog. In most cases, we can get the item needed and in a relatively short period of time. To find scenes do a keyword search using the phrase "actor's scenes". To find monologues do a keyword search on "monolog*", The truncation symbol * searches for plural forms or variant spellings , i.e., monologues. Use the keyword/phrase search 'actor's scenes' or 'scenes and actors', or 'monolog*'. Use the truncation symbol * after 'monolog' to get plural or variant spellings, i.e. 'monologues'. Still can't find what you're looking for? Try WorldCat, a cooperative catalog of many US and international libraries. If we don't have it at UM, try requesting it through Interlibrary Loan.